20 Years Old, British, Internet Marketing Consultant. With so many different tools, subscriptions and software available to us hungry data-driven internet marketers, it can become pretty difficult to find the right one for the job. 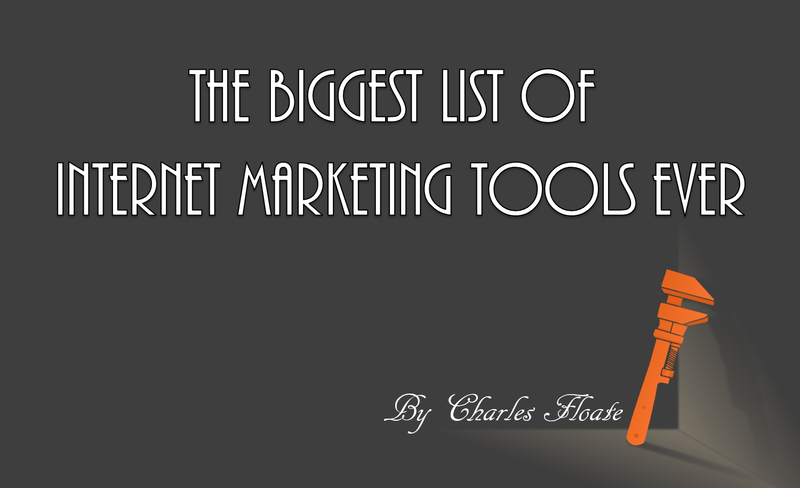 So, I thought I’d help out.. With the biggest list of internet marketing tools ever compiled. I haven’t included ANY affiliate links in this huge list, so I’m not benefiting from any of your clicks. Every tool has a non-bias description. I’ve formatted this list into several sections so it’s easier for you to find the right tool. Also note that if a tool is within the same king of category as the main featured tool, I’ll have “sub tools” which branch of from them. This category covers tools for managing websites, domains and hosting. Description: Allows you to look up the registrar details of domain names. Description: Allows you to look up IP addresses of domains as well as domains hosted on an IP address. Description: Find out which hosting providers is hosting a domain or server. Description: Allows you to anoymize the server hosting your site as well as speed up loading times. Also offers a free SSL. Description: Allows you to monitor your sites up and downtime. Where most SEOs and PPC’ers will start off with, is finding keywords related to your niche. Description: Search for keyword ideas from Google themselves, as well as the search volumes for specific locations or across every Google search engine. Description: Use UberSuggest to scrape keyword suggestions from location specific search engines. Description: One of the most well known SEO tools on the marketing, one of ScrapeBox’s main features is finding keywords from providers such as Google, Amazon and YouTube, as well as many others. Description: Find keywords your competitors are targeting for both paid and organic Google results. Description: Like SEMRush, SW allows you to see the keyword data for websites and apps. Description: Finds keyword groupings related to your niches and keywords. Description: Analyzes your websites current traffic and finds keywords to target specific pages with. Good for finding new keywords for old content pieces. Description: Allows you to combine keywords. Sub-Tools: Keyword Suggest, ScrapeBox (Paid), Keyword Lizard & Ontolos Keyword Generator. This section covers tools that offer you the ability to track certain aspects of your visitors. Description: Allows you to see the analytics around your YouTube videos and channel. Description: Easy A/B Split Testing for your website. Description: Visually track where people click on your website’s pages. Description: Improve your conversion rates with a multi-tude of tracking & CRO tools. Description: Track anyone phoning your company. Description: Users visit your website for 5 seconds and provide feedback via answering questions. This category is dedicated to tools to help and improve your organic search presence. Description: A tool kit to show and improve your rankings within Google. Description: See if your site is mobile friendly. Description: Check how fast your site loads. Description: Input a URL and quickly see all the structured data for that URL. Description: Allows you to monitor your rankings in Google, YouTube, Bing and Yahoo. Description: One of the best SEO Crawlers on the market, allowing you to easily scrape websites. Description: Check the backlinks of any website on the internet from one of the biggest link indexes in the world. Description: Desktop based link auditing and management tool. Description: Overview of On-Page SEO issues with a site. Description: Use Distilled’s Excel Doc to generate a video sitemap for your site. Description: Validate that your sitemap has no issues and ping it to Google. A list of the best link building tools – white, grey & black hat. Some of these tools are free, most are paid. Broken Link Checker – Browser based tool for checking broken links on a website. Integrity – Check for broken backlinks on Mac. BuzzStream – Semi-Automate your guest posting campaigns. Link Prospector – Outreach prospecting tool. CognitiveSEO – Backlink Analysis & SEO Auditing Tool suite. HARO – Find reporters looking for experts in specific industries. GSA Search Engine Ranker – Spam link building software. XRumer – Very famous Russian spam link building software. RankWyz – Web 2.0 Blog Network builder & manager. SAPE – MASSIVE Russian link marketplace. Black Hat Community Tool Suite – A variety of Black Hat SEO Tools. A list of the best browser extensions for SEO purposes. This category is covering all the tools for social media marketing, tracking and management. Description: Schedule Tweets around when your followers are most active. Description: Find mentions across the social web for keywords, brands and people. Description: Find industry influencers and their most shared content. Description: Analyze what content performs the best on a website via social media shares. Description: Search, monitoring & analytics for Twitter. Description: A more detailed analytics dashboard for Facebook pages. Description: Analytics for YouTube, Twitch.Tv & Instagram. Description: Syndicate multiple social media channels through one app. Description: Allows you to schedule posts for every major social media platform. Description: Find influencers within your niche. Description: Google+ connection building tool, and Google+ influencer finder. Description: Find subreddits related to your niche without using the god-awful Reddit search. Description: All-in-one social platform manager. Description: Track social share counts of specific URLs. Description: Find the most popular hashtags on Instagram, as well as popular hashtags based around your own keywords. Description: Find the most popular hashtags on Twitter, as well as hashtags that are popular for your niche. This category lists the tools I use when doing competitor research. Description: Find demographics of visitors to a specific website or app. Though the database size is limited compared to alternatives like Alexa & SimilarWeb. Description: Find information on companies and people in business. Description: Competitor Ad monitoring tool suite. Description: Monitor blogs, news sites and forums for mentions of keywords. Also a good alternative to Google Alerts. Note: I included SEMRush and several backlink checking tools above, I also suggesting using these when doing competitor research but didn’t want to re-hash the same advice. Any tool that I use or have used that I couldn’t fit under a different category. Description: See historic indexes of websites. Description: Easily take print screens with a desktop app that uploads them straight to the internet, for free. Description: Convert word documents into HTML, making it really easy to write blog posts in Word and transfer them to WordPress without formatting issues. Description: Record screens and powerpoint presentations, as well as a video editing software. Description: The tool I use to record my consulting sessions. Allows you to easily record a Skype call into MP3 format. Description: Search through a massive database of Gifs, and convert videos into Gifs easily. 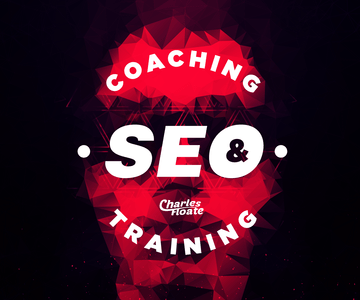 I hope you found tools that’ll help you in your internet marketing campaigns, if I missed anything off the list please drop it in the comments below. Don’t forget to signup to my email newsletter as well. Loving all the favorite SEO tool lists coming out. It’s turning into the biggest repository of SEO gold ever! I’ve used a LOT of tools, and have to say this list compiles the best ones I’ve used. Hi Charles. I’m Jonah from Hashtagify.me. Thanks for introducing us 🙂 It’s great to hear that you find our service useful! Hey Jonah, great tool ^^ Thanks for dropping a comment. Would backlinks from this social platform https://www.carii.com/ be considered dofollow? Should I create a community? It seems like it might be an unused resource. I had a quick look and they are dofollow yes. If you create a community and use it for links, it’d be a solid web 2.0 🙂 I see a lot of other people are doing the same. I want to suggest this tool https://viralwoot.com/ for Pinterest. No matter whether you would like to schedule pins, repins, pin alerts or see analytics, this is the tool you want to use for that. Hi there, I noticed that you are linking to Sharedcount.com on your article http://charlesfloate.com/internet-marketing-tools . As that service is being discontinued, perhaps it could be useful to replace the link for Sharescount.com, a new working alternative. Keep up the great work! Great structured list, Charles. 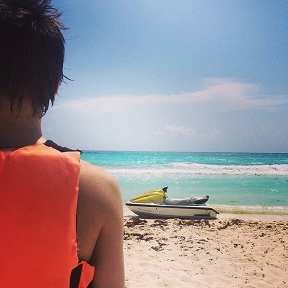 Thanks for a lot. I’ve tried some of that tools. Some add to my wishlist. And I also want suggest two our internal instruments, which most of our colleagues love to use every day. I’ll be happy to know you opinion about that tools. I'm a British SEO consultant specializing in link building. I run an E-Commerce SEO Agency & a small affiliate site empire. This is my blog, where I cover online marketing strategies, tutorials, news and do product reviews. I Only Spam SERPs, Never Emails. How Good Are SEOs At Their Own SEO? Copyright © 2019 — Charles Floate • All rights reserved. Hosting Provided by WPEngine.